Official Sponsor of OBD Software Mark A Fairchild generously sponsored us to enable development of “Wings Over The Reich”. Many thanks Mark ! OBD Software is proud to bring you their trademark immersive single player Combat Flight simulation experience using IDCS™ in Wings Over The Reich. Building on the successful WW1 flight sim engine now built on and improved for World War Two! OBD’s Unique Dynamic Campaign Engine now available for WW2. Quick Combat and Quick Scenarios option. Detailed Player Flyable Aircraft: - Supermarine Spitfire Mk Ia - Hawker Hurricane Mk I (Late) - Messerschmitt Bf109 E4 (Note: install update V1.14 to add the Spit) Also in the skies around you will see several detailed AI only aircraft: Junkers Ju88 A1 Junkers Ju87 B1 Messerschmitt Bf 110 C4 Dornier Do17 Z2 Heinkel He111 H2 -Superb Artificial Intelligence "AI" pilots -Superb Scenery and Scenery Objects -WW2 Damage systems -Full WOTR Music Score by MATT MILNE! Please visit the store page for a brief feature list, or see the menu at the top and click on WOTR Info for more in-depth details! Immerse yourself in the greatest air battle that has ever been - the Battle of Britain’ - rendered using new campaign systems developed by OBD. For the future it is planned to release more “Phases” for ‘WOTR’ and these will eventually move the war to Europe 1941 through 45. If all goes well the planned expansions of WOTR will culminate in the extensive devastation of Europe by the day and night bombing raids over the German ‘Reich’. In the shorter term we have released FREE DLC …. UPDATE 12th April 2019…. 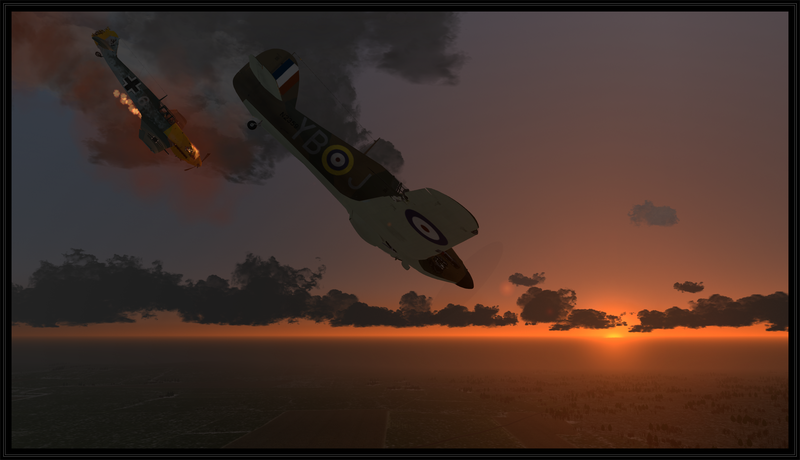 NOW RELEASED: the SPITFIRE Mk Ia flyable aircraft! For WOTR Phase 1 ‘Battle of Britain' - please see update V1.14 on the downloads page! All future planned details TBC and subject to change. Looking for Mods (‘user modifications’) for WOFF? Check out Sandbagger’s WOFF and WOTR USER MOD site ! Update September 14th - links here have been updated accordingly. Now links to main index showing both WOFF and WOTR mods. 3 October 2018 Matt Milne’s fantastic Music score for WOTR is now available to stream or purchase. Please see the Store! NaturalPoint’s TRACKIR head tracking is highly recommended for even more immersion in WOTR! TrackIR is a head tracking input device designed for use with gaming and simulation PC titles. If you also wish to help the team continue to make more flight sim goodness consider a donation! 14 November 2018 Some good news items: For WOTR owners, more is to come! In several updates we have added new features and improvements. We are adding more FREE content. See the recent Update patches on the Downloads page. Choose to fly a Hawker Hurricane Mk I (late), the Supermarine Spitfire Mk Ia in one of the many RAF fighter squadrons, or join the Luftwaffe in a Messerschmitt Bf109 E4 ! install the latest update to fly the newly added Spitfire! 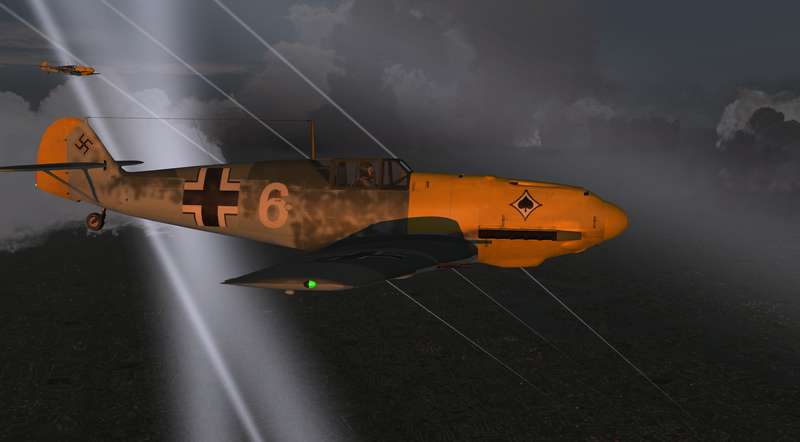 11 March 2019 A new update for Wings Over The Reich - V1.12 is now available! There are many improvements and fixes. Please see the Downloads page and check out the ‘History of Changes’ section for more.. In their March/April 2019 issue PC Pilot have published a new Wings Over The Reich article. it’s an interview with us here at OBD Software and it covers WOTR development and our goals. See the reviews page for more info! * NEWS FLASH * 12th April 2019 UPDATE V1.14 is HERE! 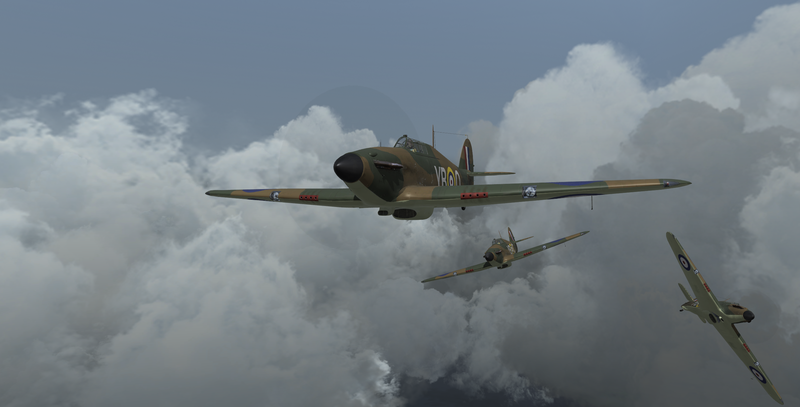 This includes the FREE FLYABLE SPITFIRE MK Ia for all Wings Over The Reich owners! V1.14 is a major update that also has many other improvements, features and fixes included! Also included of course is the Spitfire campaign and enabled Spitfire squadrons with many Spitfire squadron aircraft textures! Go grab the update now from the downloads page. Please read the ‘history of changes’ below the download for the full release notes. If this pleases you, please also consider a donation to help us continue! Fly and fight for your life in the air in World War 2. See the Store for more information, or to purchase WOTR. See the WOFF website for more information on our previous flight sim - you can also visit the OBD Software Store to purchase any of our products including ‘WOFF’ and ‘WOTR’. Official Sponsor of OBD Software Mark A Fairchild who generously sponsored us to enable development of “WOTR” Many thanks Mark! Our other combat flight simulator “WINGS OVER FLANDERS FIELDS - ULTIMATE EDITION” is known as the definitive WW1 single player experience that has featured in many great reviews. Our renowned dynamic campaign system designed by OBD Software - the best most immersive WW1 campaign system in existence for a WW1 combat flight simulator - and now we have brought this know-how to create WINGS OVER THE REICH for WW2! * NEWS FLASH * 12th April 2019 UPDATE V1.14 is HERE! 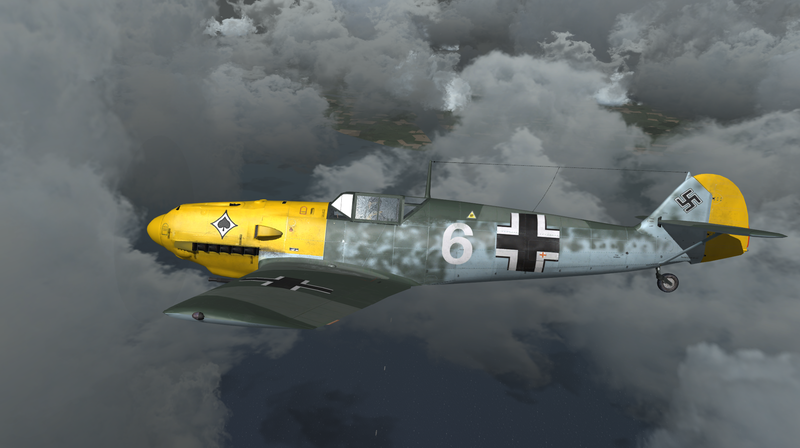 THIS INCLUDES THE FLYABLE SPITFIRE Mk IA - FREE for all Wings Over The Reich owners! Go grab the update now from the downloads page. Please read the release notes many other improvements, features and fixes included too! If this pleases you, please also consider a donation to help us continue!